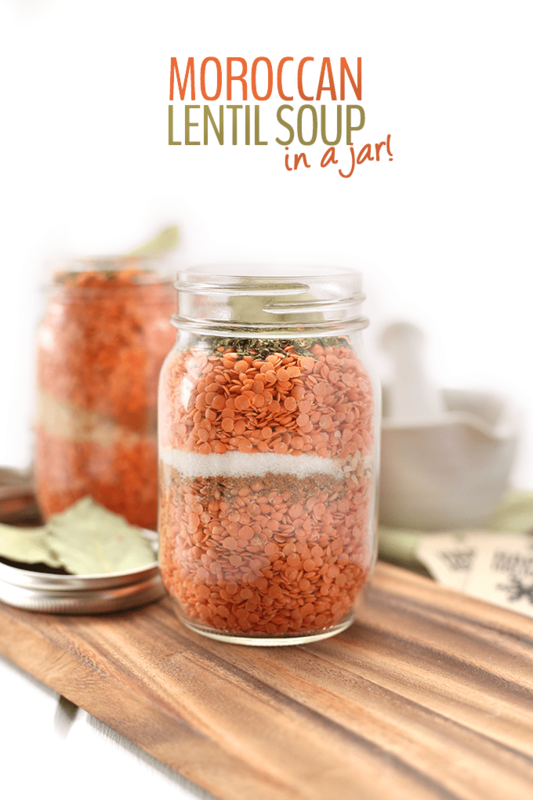 Soup in a Jar Recipes & Tips On How to Make Them! 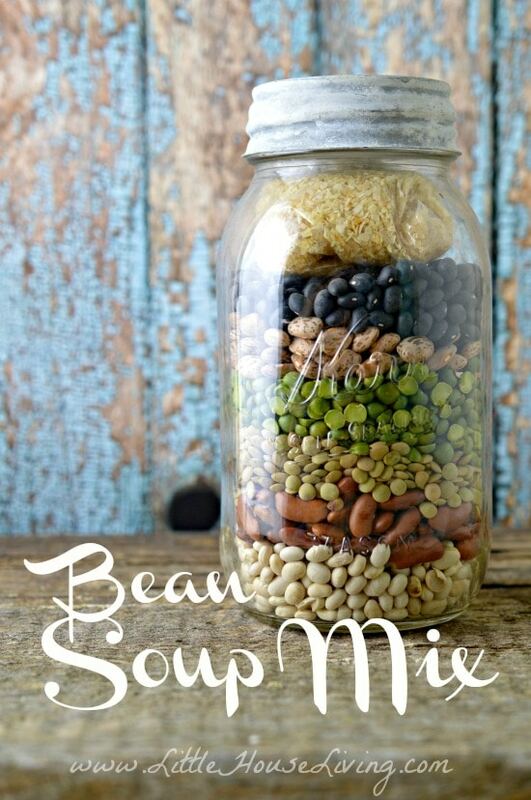 Soup In A Jar Recipes + Tips On How To Assemble, Store & Decorate Them! 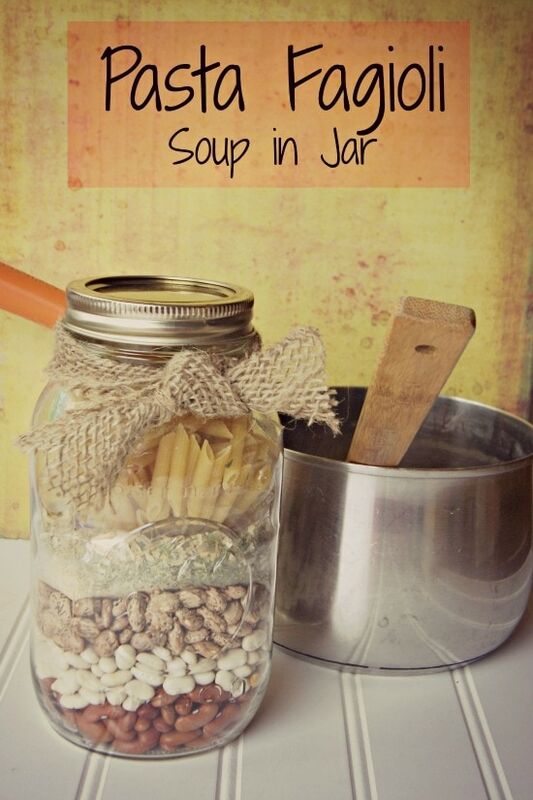 Soup in a Jar Recipes are great recipes to use for many purposes. I love them because you can keep them in the pantry to have on hand for those days that you need an easy meal. They also make great gift items for not only gift giving occasions, but also for when someone may be ill, or recently had a baby, or any other reason that they could use help with a meal. 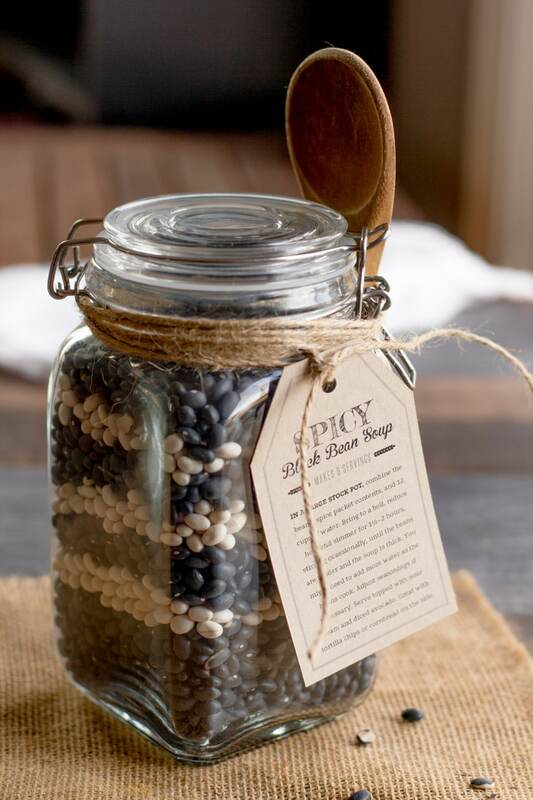 If you took advantage of the free mason jars deal we shared recently (no longer available), this could be a great way to use those too! 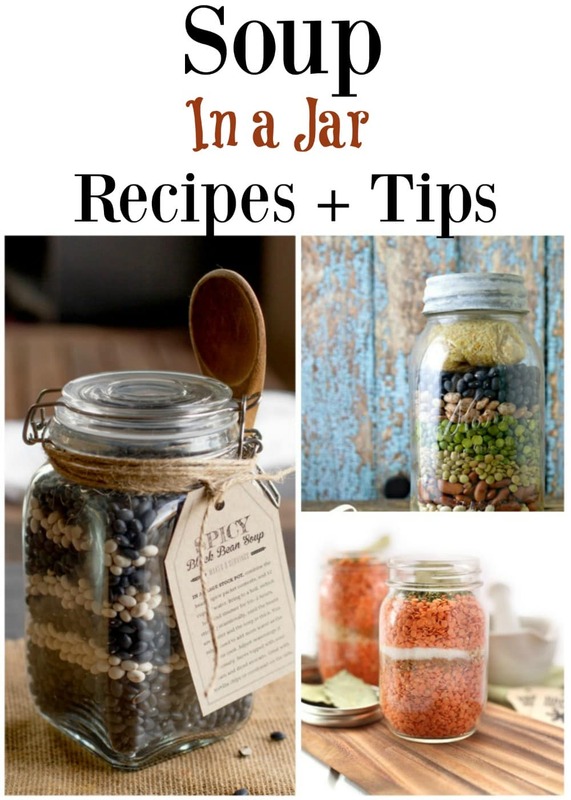 In order to get that pretty layered look, you will need to know what size jar to use. Star with some pre-made recipes (we have some below) and then you can get a feel for how the ingredients work n a jar, and adapt your family recipes later. Wide mouth canning jars will often be the easiest to work with, and most affordable (and seal tight) but there are other air tight options too. 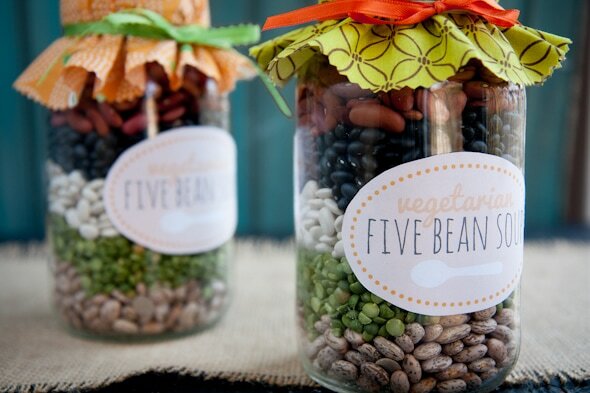 Use a canning funnel to get a nice layered look (this will help you to get the items to settle on each layer easier). Gently pound the jar on the counter to help settle the layers after each layer. It works best if you add the more powdery or smaller ingredients to the bottom generally, and work your way up to the top with the larger ingredients. Items with a longer shelf life work best. 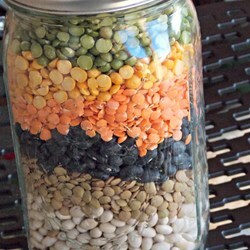 Things like beans and noodles, seasonings and freeze dried foods. You can figure out a shelf life for you soup, but knowing the expiration dates of the items you put in the jar. The item with the shortest expiration date should determine your shelf life (for example, if you have added noodles with a shelf life of 6 months, and the other ingredients have a shelf life of 9 months, 6 months is the shelf life for that recipe). Be sure to use air tight containers. 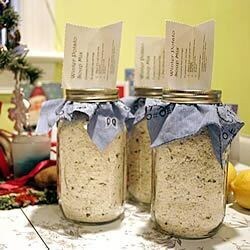 If you use food sealer jars to remove the air you will get the best shelf life out of that recipe. You can cut a circle about a inch larger in circumference then your lid, and use that as a decorative cover (you can attach it with a rubber band or twine). If you are using canning jars, you can add stickers to the inside metal piece before screwing on the final metal outer ring for the top. 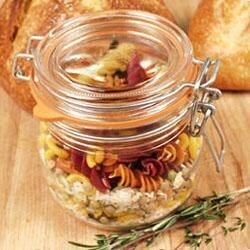 You can tie on a utensil like a small scoop) to get the ingredients out of the jar when its opened.